This hand-tinted photograph is a portrait of Antoinette (Toni) Ciccarelli. 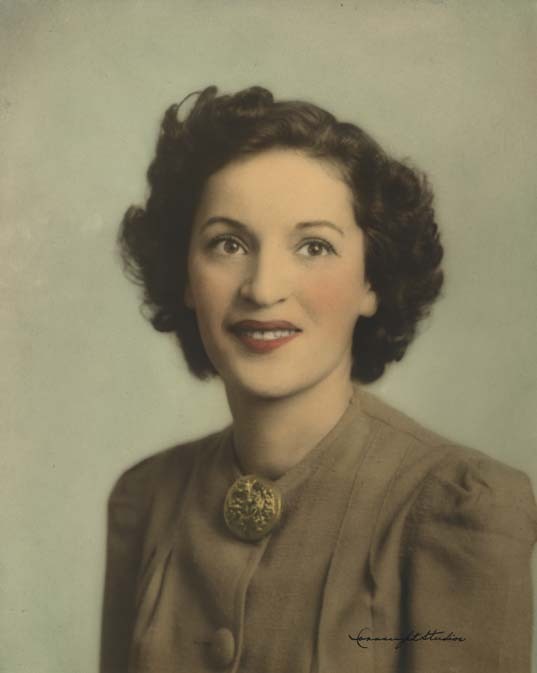 She is shown from the chest up and is wearing a brown outfit with buttons. She is smiling and stares off-centre past the camera. The studio signature is visible in the bottom right corner.